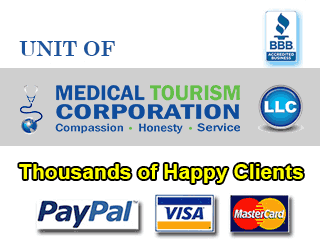 Medical and dental tourists frequently visit Costa Rica for its excellent healthcare system. Being only a few hours away from both countries, Costa Rica dental services are sought by those who want to get high-quality, affordable dental treatment, and also want to go on holiday at the same time. Costa Rica has a very impressive healthcare system, and medical and dental practitioners are updated with the latest procedures in treatments. Immediate-load dental implants are available in Costa Rica, where patients – instead of having to go toothless for weeks at a time (as they would have to do in traditional implant procedures) – can go out of the clinic the same day with temporary replacement teeth. Patients who avail of this procedure in Costa Rica usually go on holiday tours of the country in between visits to the dentist – very convenient and fun at the same time – not usually how one would describe dental visits. Because of the country’s lower cost of living, they are able to offer the same services for only a fraction of their costs in the US and Canada. Costa Rica dental implants, are especially popular, as they cost only about 40-50% of their cost in the US. The great thing about this is that the quality of the work is not at all sacrificed in exchange for the savings. Costa Rica’s dental prices are significantly lower than those in the US and Canada. Dental tourism in Costa Rica is on the rise due to excellent dental services at affordable cost. When planning to visit Costa Rica for its dental services, make sure you are working with a reputable dental surgeon. Medical tourism agencies usually have ties to the best ones available, and will also have previous patients as references. Coordinate with the clinic and the agency in order to create an itinerary that can accommodate both–your Costa Rica dental work and holiday schedules.